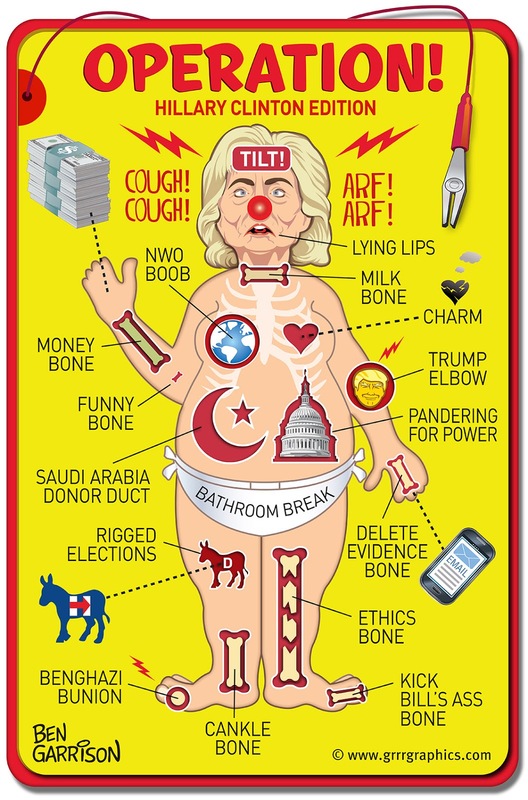 Hillary obviously has some serious health issues. Mainstream media are doing their best to dismiss obvious evidence, while alternative media journalists such as Mike Cernovich are digging up facts. Even worse, she's an immoral criminal who is above the law--she gets away with it every time, which only encourages more lawlessness. Whitewater, cattlegate, filegate, travelgate, all kinds of gates and then she carelessly mistreated classified info by allowing anyone to access it from her private server. She murdered Gaddafi and destabilized that region still further--and she laughed about it. Americans died while she gave aid to ISIS. Her Clinton Foundation is a means to peddle influence--favors for cash. Her speeches to the central banks are kept hidden. She's a dangerous liar and subject to fits of rage that scare her aides and supporters. SHE is the loose cannon, not Trump. She needs to be kept far away from the nuclear button.